Video: ESPN: 'Carry On': Why I stayed. A three-time Edward R. Murrow and six-time Emmy Award-winning feature producer with ESPN for 13 years, Lisa Fenn reported on major league sports interviewing every big name in the game before meeting two inspiring young boys in 2009 that changed her life – and theirs – forever. Dartanyon Crockett and Leroy Sutton were two disabled, impoverished high school wrestlers when she met them in her hometown of Cleveland, Ohio. Leroy, who lost his legs in a childhood train accident, was often found on the back of the legally blind and transient Dartanyon. Together, they helped each other through school — Dartanyon carrying Leroy up the stairs as there was no elevator to the weight room, and Leroy reading the print on Dartanyon’s assignments. Dartanyon’s and Leroy’s cheerful and unparalleled friendship added light to the dark and dreary halls of the poor, inner-city public school they attended. In 2009, Leroy became the first person in his family to graduate from High School and in 2013 he became the first person in his family to graduate from college — receiving a degree in Video Game Production from Collins College in Arizona. Dartanyon’s life-changing offer came from the United States Olympic Committee in 2010; he was invited to learn the Paralympic sport of judo at the Olympic Training Center in Colorado Springs. He trained relentlessly and catapulted past athletes who had been training their whole lives to secure a spot in the on the Paralympic team at the 2012 London games. There, he secured the bronze medal. Dartanyon went on to win the 2014 world championships and brought home a second bronze medal from Rio in 2016. Lisa released a memoir about their experiences together entitled Carry On: A Story of Resilience, Redemption, and an Unlikely Family (Harper Wave), in August 2016. 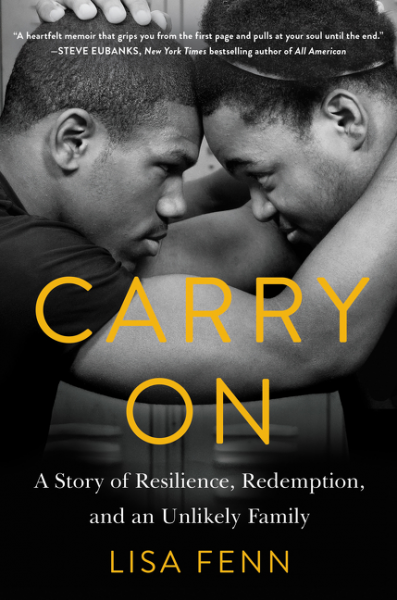 Carry On received an NAACP Image Award nomination for Best Literature by a Debut Author. A sought-after presenter, Lisa speaks with warmth and candor about her experiences with Leroy, Dartanyon. She also speaks on topics of poverty, education, disability and transracial adoption in addition to her Christian faith and its relevancy in both her media career and daily life. 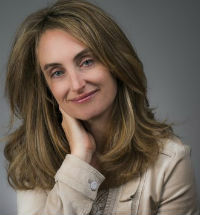 A graduate of Cornell University, she continues to produce sports stories and write about the redemptive power of love. Lisa has since moved from Cleveland and now resides in Boston with her husband and two young children. "A profoundly moving memoir about two boys who become men in the face of life’s toughest challenges: disability, poverty, and torn families. We see the many ways in which one person can carry another, and we are inspired to do the same." "Great sports stories are never about sports. They are always about the trials and triumphs of the human spirit, regardless of the numbers on a scoreboard. No one knows that better than Lisa Fenn, whose heartfelt memoir of faith and the creation of an unlikely family grips you from the first page and pulls at your soul until the end. You need never have watched a second of wrestling, or any sport for that matter, to love this story, and to admire the woman who wrote it."